Xiaomi Smartphones Dominate Samsung And Apple In China. Could They Come To America? Privately held smartphone maker Xiaomi Corp. is looking to take the world by storm, but can China’s “Little Rice” take over in the U.S.? The four-year-old company is about to surpass market-leader Samsung Electronics Co. (KRX:005930) to become the No. 1 smartphone maker in China. Xiaomi shipped 1 million more smartphones than Samsung in China during the second quarter, according to recent figures from market research firm Canalys. Xiaomi also recently surpassed Apple Inc. (NASDAQ:AAPL) to become the second largest smartphone company in China in terms of units sold. If those shipments convert into sales, Xiaomi will soon be the No. 1 smartphone maker in the world's largest smartphone market. The company is currently the fifth-largest smartphone vendor in the world, according to data from Strategy Analytics. Xiaomi’s claim to fame has been its high-end devices that sell for a fraction of the price of premium smartphones marketed by its competition like Apple and Samsung. 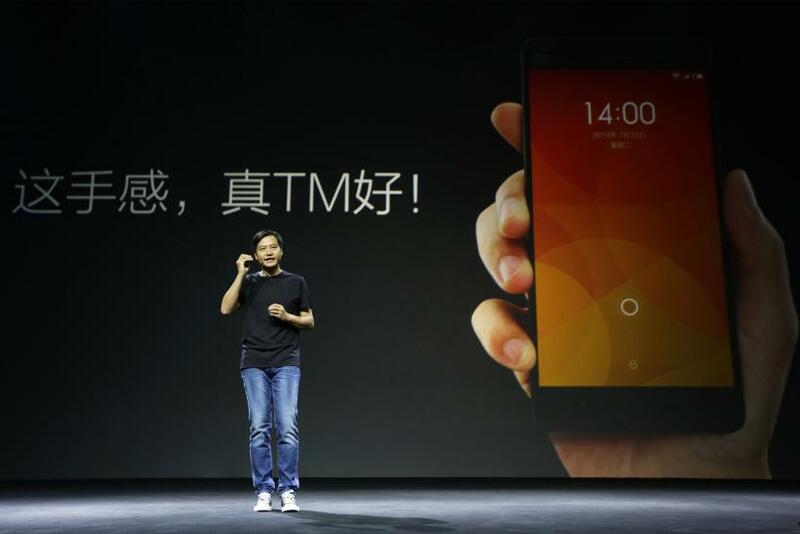 Its latest Android flagship smartphone, the Xiaomi Mi 4, announced in mid-July, costs $322. In contrast, Samsung's high-end Galaxy handsets typically cost more than $500. And the same is true of Apple's high-end iPhones. The company's operation of its own e-commerce website, aggressive marketing efforts, software development and the popularity of its budget Redmi product line have also helped it stand out among low-cost phone makers in China, Canalys Shanghai-based analyst Jingwen Wang told the Wall Street Journal. While to date Xiaomi has had little exposure outside of China and other countries such as Singapore, the Philippines, and Malaysia, it plans to soon enter Asian and European markets. Xiaomi has been criticized for its stylistic borrowings from Apple, Samsung and other rivals. The company's chairman, Lei Jun, has even been accused of emulating the late Steve Jobs, who often wore a black top and blue jeans during Apple product releases. TechCrunch's Matt Burns noted that what Lei would call “inspiration,” many companies in the U.S. would call patent and trademark infringement and wouldn't hesitate to take legal action. Xiaomi wasn't immediately available for comment, the Journal reported, and Samsung declined comment. The Mi 4 smartphone looks like a cross between the Apple iPhone 4s and the iPhone 5, while the Xiaomi MiPad tablet bears a striking similarity to Apple’s iPad Mini. Xiaomi has also been accused of stealing images from National Geographic, Flicker and Getty, then passing them off as images taken by the Mi 3 smartphone, which sold out within seconds of availability. The company has received legal warnings about its photo usage policy. While Lei has said that he doesn't want to be the next Jobs, just an innovator like him, Apple fans took notice last month when Lei introduced Xiaomi’s $13 fitness band at the Mi 4 unveiling event with a “One more thing ...” slide -- reminiscent of Apple's presentation style. Hugo Barra, Xiaomi’s vice president who is helping to lead its international expansion, called claims that the company is an Apple copycat “sweeping” and “sensationalist.” Barra, the former head of Google's Android division, joined Xiaomi in 2013. Lin Bin, another ex-Google executive, is Xiaomi's president. Barra said the company is focusing now on building a strong presence in India. "The U.S. is an incredibly competitive battleground," he told the Verge, "and we have to pick our battles. One step at a time. One country at a time."